Hello Clients, Friends, and Fans! 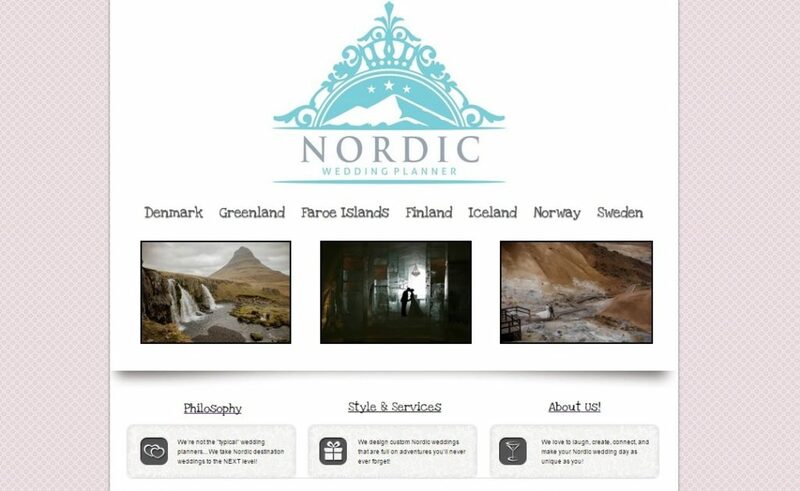 So you’re probably asking yourself what is the intended role of Nordic Wedding Planner? Many! First, we’re changing the way the wedding industry thinks of destination weddings… We plan and photograph full on Adventure Weddings, that have a North American flair. I mean shouldn’t your destination wedding day be your “Biggest Adventure Yet?” We think so! Second, we’re only taking on folks who exhibit traits of daringly awesome couples… Do you have these characteristics? Yearn for unusual and one-of-a-kind experiences. Willing to try anything once! You cherish experiences more than things. Are not afraid to get your wedding attire dirty doing awesome stuff! So take a second and poke around the Nordic Wedding Planner site, you might fall in love with a location even more so than Iceland – Who knows! Anyhow, in the meantime, we encourage you to start following Nordic Wedding Planner on Facebook, Instagram, and Twitter for the latest Scandinavian/Nordic wedding inspiration!